We at Gylling Data Management (GDM) create, market, and support ARM software for managing and summarizing agriculture research experiments. ARM saves time creating trials, analyzing data, and producing the many reports required for successful and timely trial management. ARM is a recognized and respected standard throughout the crop production and protection industry. ARM is used by thousands of researchers in nearly 100 countries worldwide. See GDM Overview (pdf) for information about GDM and our products, and Trial Management Software Features (pdf) for an overview of features our software provides. Learn the basics on ARM protocol files with our one-hour video series Setting up a Protocol. You can follow along as we demonstrate how to create a new protocol, describe its components, then dive into the most important features and tools related to protocol authoring. We have added the final 3 videos for this series, that cover treatment applications, planned assessments, and protocol reports. 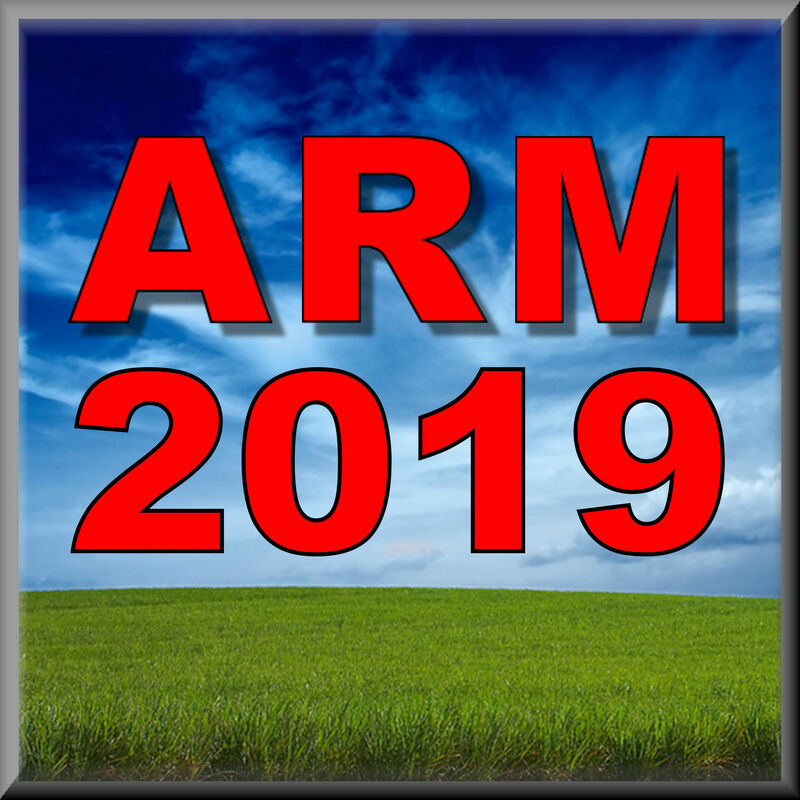 ARM 2019 is now available! Run Check for Updates to download the latest version of ARM today! SE definitions tab to plan and define standard evaluations for consistent assessments. Repeated Measures analysis to analyze repeated assessments across time. Create a trial review group to ensure a trial is reviewed by the right people at the right time. Is your ARM license renewal date approaching? See ARM Client License Maintenance and Renewal (pdf) for an overview of the ARM maintenance renewal process. We have published the third issue of the ARM Product Pulse newsletter (pdf), with current topics and tips for using GDM products. You may have seen this handed out at recent exhibits that GDM attends, like the NAICC or WSSA annual meetings, or maybe you will catch us at an upcoming exhibit! Receive the ARM Product Pulse in your inbox - subscribe to our newsletter today! Get started with the Summary Across Trials (ST) add-in with our new video series ST Introduction Walk-through. This 3-part series covers the steps to create a criteria file, demonstrates the ST Summary analysis, and takes a look at the final output report and graphs. Iteris ClearAg weather content is now available by subscription to GDM clients! from around the world through ARM software. See Import Weather Data FAQ for more information, and Import ClearAg Weather Data video tutorial. All new software features are immediately available, delivered in the next update. Software updates and upgrades are delivered automatically. Regardless of when you purchase ARM or ST, you receive all the newest software enhancements. See ARM Client License Maintenance and Renewal (pdf) for an overview of the ARM maintenance renewal process. Throw away those old program install CDs! The ARM Check for Updates tool downloads and installs the newest ARM software that you have licensed from GDM. If replacing an old computer, see Transferring ARM to a New Computer (pdf) to (1) migrate ARM and current settings, (2) deactivate the old computer, and (3) transfer the ARM activation to a new computer. On a new PC, add your purchased GDM software by selecting this link https://gdmdata.com/ARMupdt/ARMupdt.exe to run Check for Updates. See Installing ARM for more information. If you are a contractor or cooperator, Check for Updates also installs sponsor customizations you have been approved to receive. Request sponsor customizations (pdf) if you do not see the customization you need in Check for Updates. See Contract Researchers for more information. If having troubles installing or updating ARM, see Issues Running Check For Updates FAQ to diagnose installation problems. GDMdata.com is registered with the Better Business Bureau's Dynamic Seal program.